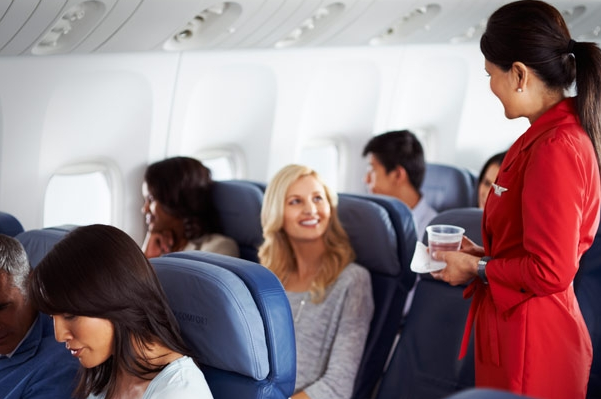 Some obvious ideas and some good ones from the Daily Meal on how to make traveling on a gluten-free diet a little easier. When her son was diagnosed with celiac disease, in which a person has trouble digesting foods that contain gluten, a protein found in products like bread and pasta, Karen Broussard quickly realized the challenges travelers have finding gluten-free options while on the road. So she started the website GlutenFreeTravelSite.com to help travelers maintain a gluten-free diet on the go. Approximately 1 percent of the U.S. population has Celiac disease, although the majority remain undiagnosed. There’s an additional 7 percent of the population estimated to be “gluten sensitive,” according to Dr. Alessio Fasano of the University of Maryland’s Center for Celiac Research. Therefore, a total of about 25 million people in the US are negatively affected by gluten. For these people, finding safe food options can be challenging. “You want to take a vacation from worrying. You want to be able to take a vacation without worrying about food,” said Broussard. 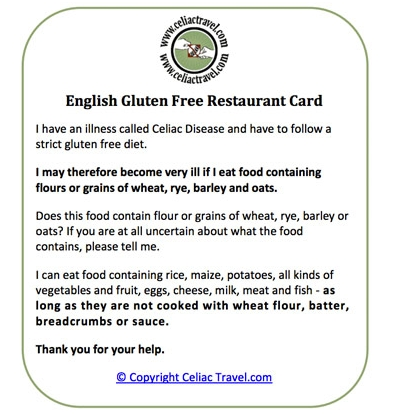 GlutenFreeTravelSite.com provides tips and resources for travelers and their families for gluten-free travel and dining around the world. The site, which began four-and-a-half years ago, has recently unveiled a new design, which includes a guide to chain restaurants, restaurant reviews, and trip-planning resources. Only businesses that have been reviewed by a person on a gluten-free diet are included on the site. And don’t forget to check out GlutenFreePDX’s companion site GlutenFreeAirport.com. There you can find some things to eat while traveling through some of the country’s busiest airports! This entry was posted in Culture, Health, Ingredients, News, restaurants, Travel and tagged food, Gluten Free Airport, gluten free travel, Health, restaurants, travel, trip planning resources, vacation on September 8, 2012 by glutenfreepdx.